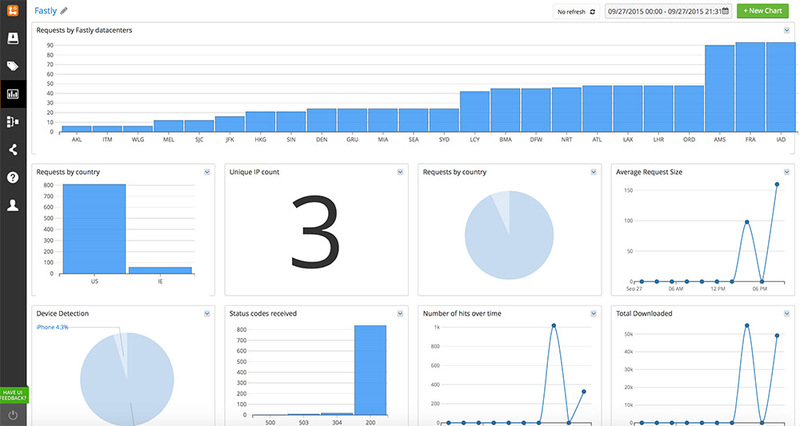 The Fastly Pack provides enhanced visibility into Fastly Content Delivery Network logs with saved queries, real-time alerting and visualizations. The Fastly Pack extracts key information from your Fastly logs. The Pack comes with preconfigured Tags, Alerts, Saved Searches and ready-to-use Visualizations. Saved Queries:Saved queries that enable you to detect device type, count unique IPs, find total page hits over time, and analyze frequency of requests by country or datacenter. Tags and Alerts: Anomaly alerts highlight instances of large file downloads while inactivity alerts can be triggered when the application is not used for more than 24h. This pack also includes HTTP status code tags and alerts.